I have been quilting since the late 90's and just love to buy fabric. I have a good eye for color and design. I also do professional long arm quilting using a Gammill quilting machine. Quilting is a passion for me and has become a way of life. Whether you are just starting out or have been quilting for years you will always find and learn new things. Quilting is a very artistic expression - lots of heart and sole goes into the making of a quilt and that is why I believe in quality. I use quality products in all the quilts whether it is one of my own or for a customer. 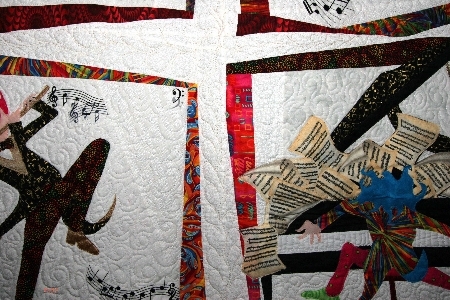 I enjoy showing my quilts and both local guild quilt shows and International quilt shows. 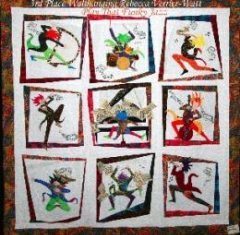 Many of my quilts have won First place ribbons both locally and Internationally. 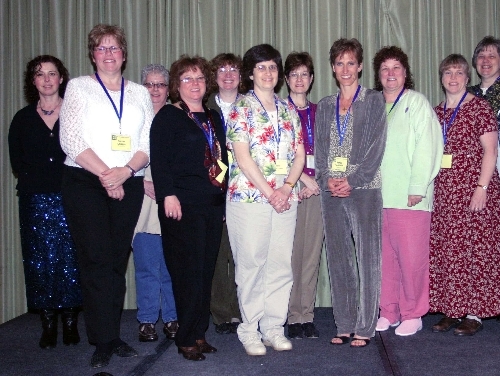 Emily was awarded the Best Machine Work at the Charlotte Quilters Guild show in 2007 and Ties That Bind won a 2nd place ribbon at the HMQA in Utah in 2007. I love all quilts from beginners to the experienced, The best part of quilting for a living is meeting all the wonderful people, learning together and seeing the different quilts that attracts each of us. Many of my customers are beginner quilters and I just love to watch the skills blossom. I also enjoy learning from my customers - I get to see so many new ideas and this is such an inspiration to me both personally and professionally. Make sure you check out my gallery for quilt photos. Unfortunately I am not able to keep up with photo's on all the customer quilts that I do so most of the newer post will be of my own quilts, quilt shows and once in awhile you might see a customer quilt that I just can't resist and have time to capture a photo. Thanks for reading about me and keep quilting! 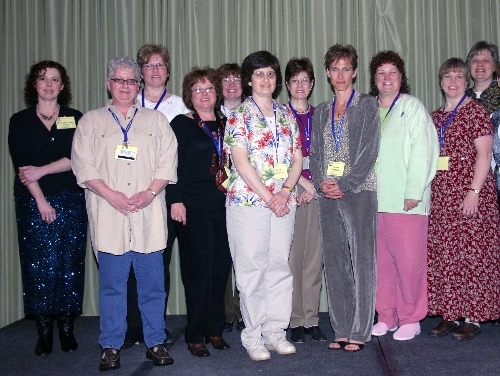 Below are some photos taken at the MQX Banquet Awards in April 2005. Don't forget to find my page on facebook to stay more current. Here are all the award winners up on stage together. I am the one dressed in black up front.